Love contemporary design? You’ll love Thelma. Sleek with a big dose of comfiness, this office chair will have you at your desk, even when you don’t need to be. Let’s be honest, Thelma’s all modern – with a sophisticated swivel seat. It’s smooth curves make this office chair fun for all the family. 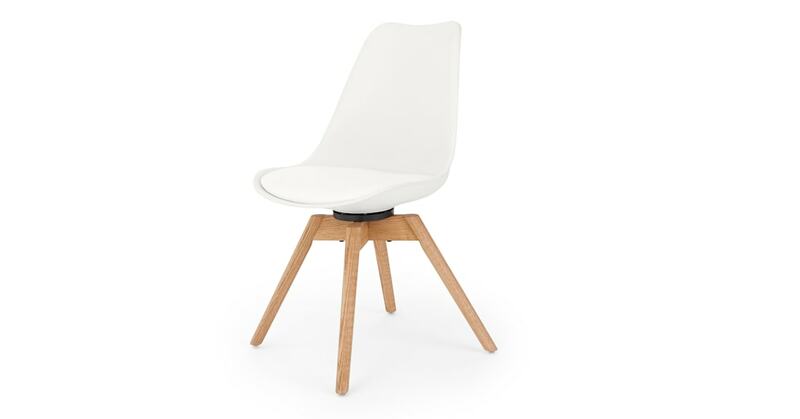 Contrasting natural wooden legs with a white seat, Thelma’s minimal Nordic design is complete with a cushioned seat – it’s hygge for the home office.